Anke Walter is Lecturer of Classics at Newcastle University. From 2011 to 2017, she was Assistant Professor at the University of Rostock, where she worked on a research project (habilitation treatise) entitled ‘Ever since then‘ – Time in Ancient Stories of Origin. 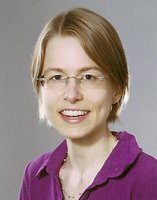 Her PhD thesis on Storytelling in Flavian Epic (2011) was published as Erzählen und Gesang im flavischen Epos in 2014 (De Gruyter, Berlin). Anke Walter is the co-editor (together with Christiane Reitz) of the volume Von Ursachen sprechen. Eine aitiologische Spurensuche / Telling origins. On the lookout for aetiology (2014) and has published several articles on ancient epic poetry, especially Flavian epic. From April 2015 to March 2016 she spent a year as Visiting Fellow at the University of Virginia, funded by the Alexander von Humboldt-Foundation.